En breve un responsable de WINGS - Wismar University (Germany), se pondrá en contacto contigo para informarte. Bachelor Maritime Logistics & Port Management - Online. 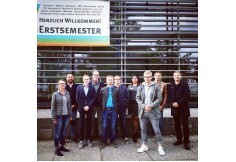 The online Bachelor programme Maritime Logistics / Port Management at the Hochschule Wismar, University of Applied Sciences: Technology, Business and Design. The eight-semester online Bachelor programme provides knowledge in the areas of maritime logistic and port management within the maritime sector. The study aims to provide basic economic knowledge added with practical components within the maritime economy and port management processes as well as intellectual and social competences. The international character of the online learning programme is enhanced through the implementation of the English language. After completing the studies you will be in the position of leadership responsibilities in the areas of management, planning, strategic development, product development, production and marketing. As a graduate, you will receive an internationally recognised academic degree Bachelor of Science (B.Sc.). The part-time programme Bachelor of Maritime Logistics / Port Management is a great opportunity for everyone in the maritime business without a first academic degree. It is also appropriate for professionals who already work in the maritime business and want to develop their professional career further. In just 8 semesters while still working you improve your skills and can entry into higher employment positions. The comprehensive combination of economics, maritime logistics and port management issues is unique and will provide you an advantage for your career. Learn from our internationally experienced professors and experts from the maritime business. Modules were in step with actual practice, so you will learn not out of books! Upon successful completion, you will be awarded with the academic bachelor's degree in Maritime Logistics / Port Management. This degree will entitle you to continue with a master study of your choice. 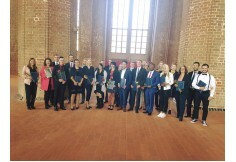 Graduates may enrol in the Master programme “Operation and Management of maritime Systems” or “Digitale Logistik und Management” at the Hochschule Wismar, University of Applied Sciences: Technology, Business and Design. The online Bachelor study Maritime Logistics / Port Management is a cooperation project of WINGS GmbH and bremenports GmbH & Co. KG, the Port Management Company of the Free Hanseatic City of Bremen. 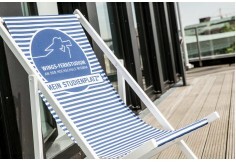 The cooperation of WINGS GmbH and bremenports ensures a unique blend of academic and professional expertise for the benefit of the student. A consulting and engineering company with its own port – this sums up bremenports GmbH & Co. KG. bremenports combines hands-on competence from operating the ports of Bremen / Bremerhaven with international consultancy experience. The company has managed the port infrastructure in Bremen and Bremerhaven on behalf of the Free Hanseatic City of Bremen since January 2002. bremenports market their engineering and development competencies in port planning, construction and infrastructure operations and maintenance to private and public clients outside of Bremen. Projects not only focus on consultancy, but also on human resource development in the field of ports and terminals. The study modules and bachelor thesis are evaluated according to international standards. A total of 180 credits (ECTS) are awarded. The study programme includes 32 modules over eight semesters with a project workshop within semester 4 and 6/7. The programme is taught in English. Throughout the programme, you are introduced to scenarios experienced from your professional environment, identifying problems from the operational environment and develop scientifically-based solutions. For further information about the content of the modules please check the appropriate modules. The online Bachelor study Maritime Logistics / Port Management is a cooperation project of WINGS GmbH and bremenports GmbH & Co. KG, the Port Management Company of the Free and Hanseatic City of Bremen. 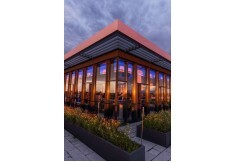 The online study is a part-time programme of WINGS GmbH under the academic competence of the Net.Uni, a central facility of the University of Applied Sciences at Wismar. The modules are taught by professors from the University of Applied Sciences at Wismar, by professors of other universities as well as by experienced lecturers from practice in regularly scheduled online tutorials. Our study organisation want to make sure that your online distance learning is compatible with your professional activity. You decide when and where you work with the substantial topics of the study. During your online Bachelor programme you have a personal study consultant available. Interactive exercises and case studies. For each module you receive detailed online lectures which are divided into chapters. To apply the acquired knowledge from the online lectures immediately, you are asked test questions after each chapter. Simultaneously you get case studies that you are going to solve either alone or within a group. The solutions of the case studies can be discussed with your tutor in the provided live video conferences. Online tutors will be available at fixed or variable dates in order to discuss individual issues. Each module concludes with an examination (written or project work) which you can attend at one of our seven international available study locations or abroad at Goethe-Institutes. We prepare you in detail for the exam with test questions, test exams and our tutorial system. The online study platform Moodle is the basis of your entire online study programme Maritime Logistics / Port Management. Through Moodle you attend your online modules, download your module documents and learn about events and schedules. Focuses of knowledge transfer are recorded interactive online modules/lectures. In the online lectures the main study contents are taught and a comprehensive exam preparation is made possible. The integrated “Time Manager” helps you with recommendations to your studies. All important dates (exams, tutorials, video conferences) are part of your schedule, too. It is always available on your calendar on the online learning platform Moodle and can be exported as an Outlook calendar file. At specified dates, live video conferences with training staff and tutors take place. These will contain specific chapters and topics of the online modules according to your schedule. 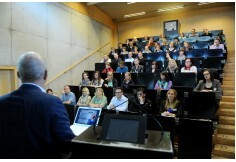 Participation in the conferences is completely free of charge. They are recorded and available on your study platform around the clock. With the innovative WINGS App you have all information for your studies at one mobile application, both online and offline. In addition to scores, news, lecture and seminar dates you have all study materials, live tutorials and interactive video lectures available on the app. The learning videos can be downloaded to your tablet and viewed offline at any time by using the app. With the app you can access any course content anytime and anywhere. The WINGS App also convinced when awarding the INNOVATION PRIZE – IT 2016 of the Initiative Mittelstand and is even represented in the BEST OF. Each module will be completed with an written exam about 120 minutes or alternative examinations. The examination location can be chosen individually. You can complete the examinations at the following international study locations. If required, you are allowed to complete the exams at other locations (after individual consultation with your study programme coordinator). 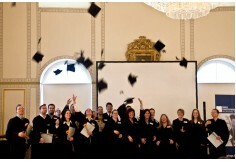 We work closely with established universities and Goethe-Institutes. During the semester you may switch between examination locations. Alternatively and depending on the respective module, examinations can be submitted as presentation, as a group and project work on real case studies conducted via online meetings. Proof of appropriate English knowledge. Applicants whose native language is not English have to demonstrate, through appropriate documentation, that they can complete their studies in English, e.g. TOEFL test with minimum certification of B2 level. We are happy to examine your individual admission application in terms of the background of your personal situation. The semester fee of EUR 1,370 covers all your relevant study services. Among the individual study support, this includes access to the online study platform Moodle, attendance at the online tutorials, study materials (mock exams) and examinations at one of the offered examination locations worldwide. On request we offer the tuition fee payment by installments. Our distance learning programme is designed to meet the needs of working professionals. You can complete the distance learning education, while at the same time retaining your professional commitments and financial comfort. The state encourages your continuing education through individual tax reductions. Depending on your personal income and your professional situation, you can claim your distance education costs as tax exempt for business expenses or extra expenses, and can get completely or partially reimbursed. For further advice please contact your tax advisor or your responsible tax authority. Many businesses support further training of their employees through exemption or financial support. Within the framework of individual agreements, there is the possibility to integrate your qualification into the individual personal development plan. These shipping cources and refresher trainings in navigation, radio operation, cargo handling, ship handling, resource management and ship engine operation are supplemented by special offers for management of shipping companies. The strong growth in maritime business in recent years has led to a significant demand in qualified further education for masters and ships' officers that meets the greater challenges of managing modern seagoing vessels. As such, we are offering a complex, holistic further education programme for all areas of the maritime sector that meets the demand of clients based on international regulations such as STCW.